The Chevrolet Bolt requires about 30 minutes of charging at fast public stations to deliver about 90 miles of range. Electric cars developed by General Motors may be able to recharge their batteries with 290 kilometres (180 miles) of driving range in less than 10 minutes, a quicker juicing up than drivers can get at Tesla Inc.'s superchargers. GM and one of its research partners, Delta Americas, are developing the fast-charge system as part of a three-year project. 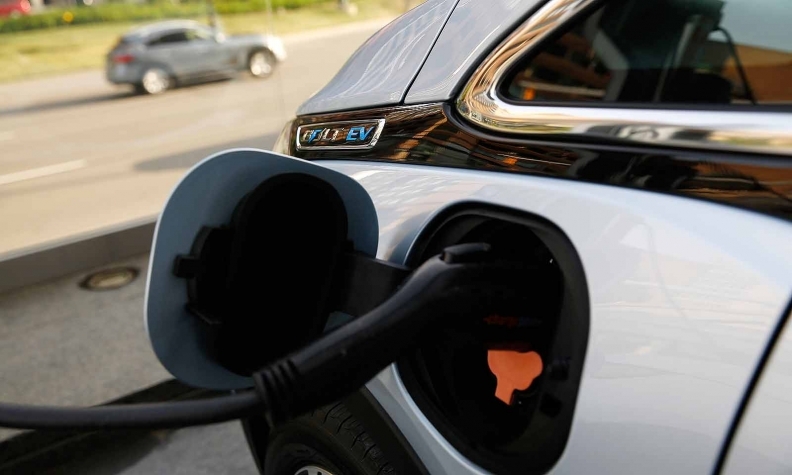 GM has said it's readying 20 electric vehicles for sale by 2023 that will be capable of rapid charging. Automakers are racing to recharge EVs faster so that consumers are less worried about running out of range. With Delta's system, GM's cars could add about 18 miles of driving range per minute. Tesla's superchargers are at about 9.5 kilometres (six miles) per minute, and Porsche is pledging about 20 kilomteres (12.4 miles) per minute for its Taycan electric sports car, said Sam Abuelsamid, an analyst with Navigant Research. On its website, Tesla touts the ability to replenish the batteries of its vehicles with about 30 minutes at its supercharger stations. GM's Chevrolet Bolt, meanwhile, needs about 30 minutes of charging at fast public stations for about 145 kilometres (90 miles) of range.